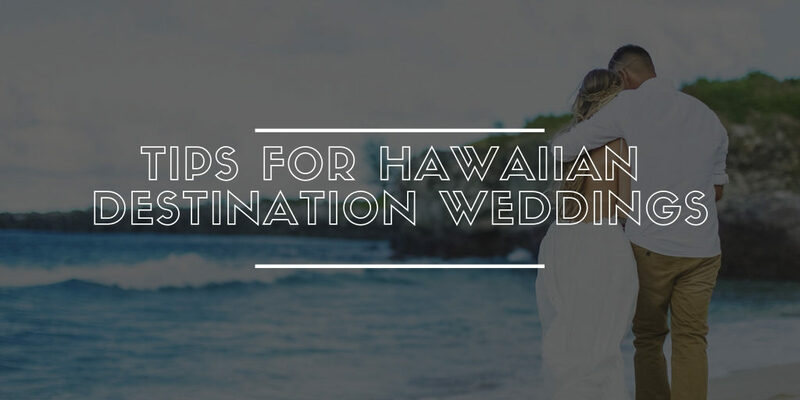 Do you want to have your dream wedding in Hawaii? It’s an excellent choice for a destination wedding. Beautiful island scenery, plenty to do and welcoming people. So, where do you start? There are four main islands of Hawaii: the Big Island, Oahu, Maui and Kauai. They are all different, so which best fits your needs? Oahu and Maui are the most populated and developed, they would be good choices if you enjoy the city and are looking for nightlife. Kauai is what you imagine when you imagine Hawaii- lush, tropical forests and pristine beaches. The Big Island is the largest island and hosts an active volcano! There is an option for every taste. Just remember to research the weather of your chosen island if you are holding your ceremony outdoors.